Organizes the intake/onboarding process for new student and temporary employees, data changes for current employees and the exit of terminated employees; initiates all hiring proposals for student and temporary staff in Auxiliary Services; provides administrative support the Director and recruitment/hiring support for smaller Auxiliary units. 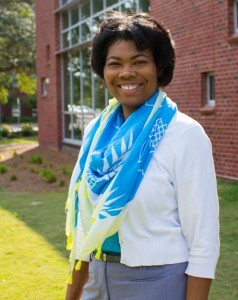 Abbie Hill serves as the records coordinator of Auxiliary Personnel Services at Georgia Southern University. She holds an Associate from Ogeechee Technical College. In her role as records coordinator, she is committed to serving as a liaison between Human Resources and the Auxiliary Services Departments by supporting, maintaining and coordinating related functions. She provides superior customer service and is excited see new employees become members of the Auxiliary Service Team.